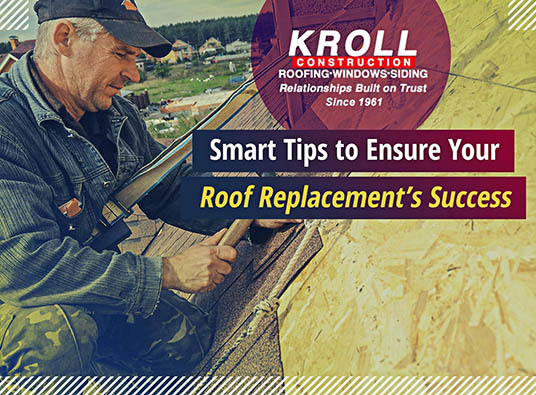 In roof replacement, every choice you make counts. A single wrong decision could make the project unnecessarily stressful or affect your new roofing system’s long-term performance. Remember the home improvement adage: hire the right contractor, and you’re halfway there. Nothing speaks louder about the roof’s integrity and proficiency than proper license and adequate insurance. Unlicensed and uninsured companies can’t guarantee quality work and ensure accountability in case of worker injury and property damage. If you’re serious about getting the best work from your roofing company, demand for proof of these credentials. To buy a particular product, hire a roofer certified by its manufacturer. For instance, nobody can install Owens Corning®’s Total Protection Roofing System® better than a Preferred Contractor. A standout in the brand’s network of roofing contractors, this breed of roofer meets Owens Corning’s high standards and strict requirements for reliability and professionalism. A good rule of thumb to reduce the chances of roof failure is to avoid installing the new layer of asphalt shingles over an existing one. The local building regulation may allow it, but doing so deprives roofers the chance to inspect the condition of the underlying wood deck. Instead of an overlay, a roof re-cover is a prudent decision to guarantee long-term structural integrity. Tackling the replacement of your roofing system during fall will help winter-proof your home and save your little ones from the hassles of the project. Since your children are back to school, they wouldn’t have to deal with the mess and the noise that much. Without worrying about stressed kids, it would be easier to live through your roof replacement. At Kroll Construction, our 5 years of experience tells you we can deliver faultless work the first time. We’re fully licensed and insured with $2 million in liability coverage and worker’s compensation coverage. We’re also certified by leading asphalt roofing shingle brands, including Owens Corning and IKO. To discuss your project with the finest roofer in Detroit, call us at (888) 338-6340 today for your FREE, in-home consultation.